In the 1950s and early '60s, with the Cold War at its peak, the United States flew U2 spy planes across Europe, the Middle East, and central eastern Asia, taking images of interesting military targets. Though the missions typically connected Point A to Point B, say an air field and an important city, in many cases the camera kept recording between those spots, capturing thousands of photos of the desert, steppes, fields, and villages below. Such a collection can represent a goldmine for landscape archaeologists like Emily Hammer of the University of Pennsylvania and Jason Ur of Harvard University. But for decades, all film and documents from these missions—code-named CHESS by the U.S. government—remained classified. And even when they became public in 1997, they weren't indexed or scanned. Until now, the majority of this kind of historical aerial documentation came from the CORONA spy satellite program, which the U.S. ran between 1959 and 1972. But only the highest-resolution CORONA images, taken during the program's final five years, are useful for most archaeological purposes. 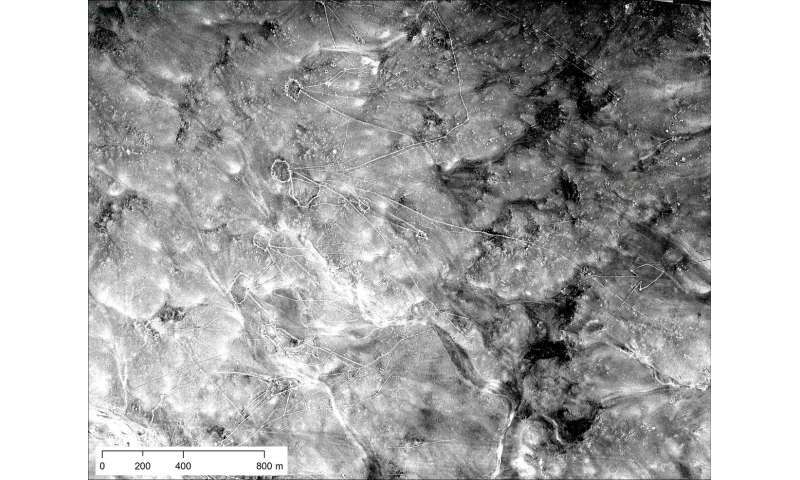 The U2 photos are earlier and a higher resolution than even the best CORONA images, offering the chance to see historical features undecipherable by CORONA or already gone by the time of those missions. A chance encounter with Lin Xu, a researcher who had retrieved U2 images of his hometown in China, led Hammer and Ur to press on. "Seeing the amazing quality of those archival photos," Hammer says, "we knew that it would be worth the detective work it would take to build a systematic index of them." It wasn't an easy process. Ahead of time, they had to select the film rolls they wanted moved from the National Archives' storage center in Kansas to the aerial film section in Maryland. Once there, the researchers unspooled hundreds of feet of film over a light table to identify pertinent frames, then photographed the negatives in pieces using a 100-millimeter macro lens. Later, they stitched together and adjusted each frame, before geo-referencing the photos using GIS software to match up images with coordinates of real-world places. Despite the tedium of some of the individual tasks, the process excited Hammer. "As you turn the spool of a film roll following the path of the U2 plane, you may not know exactly what you'll see in unfamiliar places, so there's often a sense of exploration and discovery," she says. "Other times, the pilots were flying over regions I knew by heart from travel and study, and I would almost hold my breath, hoping that the plane had veered just a little to the right or left." The second feature, the canal system in northern Iraq, provides insight into how an early empire maintained its power and governed, Hammer explains. "The Assyrians built the first large, long-lasting, multi-cultural empire of the ancient world, so many people are interested in how they organized territory, controlled people, built their huge cities, and managed the land," she says. "The irrigation system fed the royal capitals, made agricultural surplus production possible, and provided water to villages." Finally, the U2 images of southern Iraq present the layout, size, and environmental position of Marsh Arab communities in the late 1950s and early 1960s, many of which disappeared after massive hydroelectric dams in Turkey, Syria, and Iraq impounded the rivers, and especially after the government of Saddam Hussein deliberately drained the marshes. Before that, "people lived a unique lifestyle there for thousands of years, herding water buffalo, building houses and all manner of things out of reeds, living on floating islands of reeds, planting date palms, and fishing," Hammer says. "Now we can study the spatial organization, demography, and lifestyles of these communities." 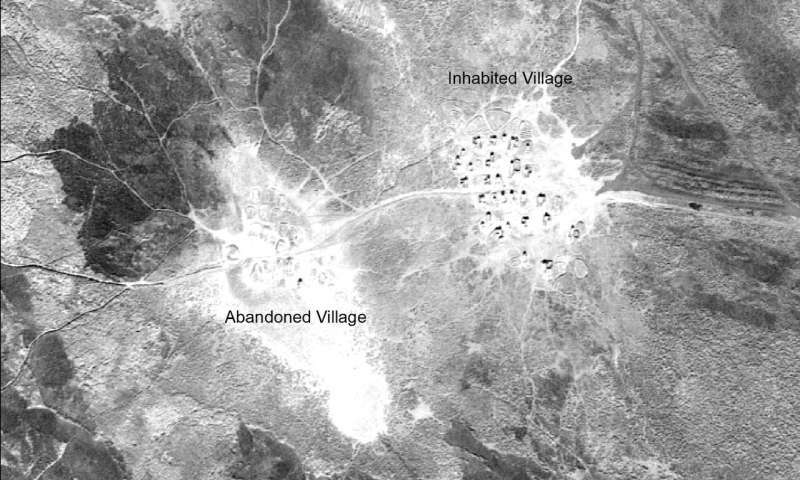 Aerial images like those from the U2 spy missions allow archaeologists like Hammer and Ur to travel back in time. "The activities of ancient human communities frequently left large-scale traces on the landscape," Hammer says. "You can't see these patterns when you're standing on top of them, but just like stepping back from the blobs of paint on an Impressionist painting reveals the full picture, aerial and satellite imagery allow the patterns to emerge."